As a mother, you've always wanted to find a better deal in the store. Whether if its food or not, it makes us feel like accomplished and smart because we seek rather to save us money in any method. I am very picky and seldom signs up for websites that sent out discounts. I make sure that whenever I do, this website could better be useful and has plenty of product that we need. However, iprice.ph is different, I did not even have a second thought when I came across to the website. It has everything that I am looking for an online site. This is an online page where I can send out products for my family in the Philippines hassle free. Without any hesitation, I immediately signed up to make sure that I have information from them, as well as to get an exclusive discount code to the websites they are affiliated with. I was ecstatic, knowing that I can buy something for my parents during special occasion and they'll be able to receive the item right away. Brands that I would highly get for them, just a way of showing how grateful I am in any way. The website has plenty of products you can choose from, they have sections for men and women, kids and so much more. Beauty and Health, Clothing, Shoes, Electronics and many more. I love to get something for my family in the Philippines as long as I can get discount that way I can get them more. 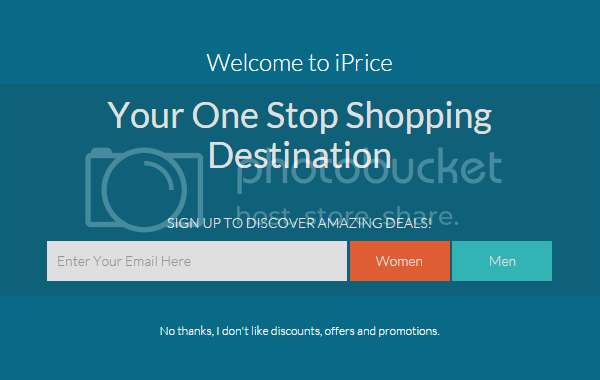 Oh, I'm very thankful that iprice.ph just has everything a shopper would seek. I can't wait to spend my money and save at the same time with them. I will definitely check this out, I have to save money in buying things. Yay! What a very helpful site to save some savings Mommy N.